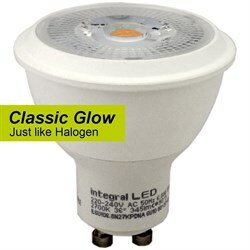 You won't believe it's not halogen! Available in warm or cool white. For Trade Discounts, please contact us. The Integral 7.5W GU10 Par16 COB Dimmable LED lamp is designed to provide the same warm glow as halogen lamps, with all the added cost-saving benefits of LED lighting. 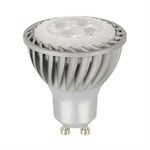 With a GU10 base it is a direct replacement for a 50 Watt halogen bulb and also supports dimming. It is one of Integral’s Classic Glow" GU10 LED lamps which is designed to achieve exceptionally close performance compared to a traditional Halogen lamp in terms of light distribution, colour and overall appearance. This is implemented using innovative optics and reflectors to produce a low-glare lamp that improves on halogen. This approach led to this lamp range being a finalist at the Prestigious Lighting Design Awards in 2015. LED bulbs last 30-50 times longer than incandescent or halogen light bulbs and cost far less to operate. For example, if you switch just four traditional bulbs to the Integral 7.5W GU10 Par16 COB Dimmable LED, and use your lights for an average of three hours per day, you can save more than £26 in electricity costs every year. Why Buy Integral with Ryness? Integral is a UK electronics company meeting the challenge to create a comprehensive range of well-priced, innovative LED products that perform, save you energy and money, as well as benefiting the environment. Ryness recommends Integral LED bulbs as the best in their price point. 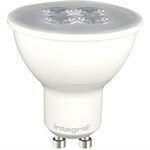 Three Integral LED bulbs have already been named "Which Best Buys". 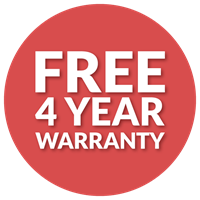 You can buy Integral LEDs from Ryness with complete peace of mind - we are the only retailer to offer an extra year of warranty at no extra cost. 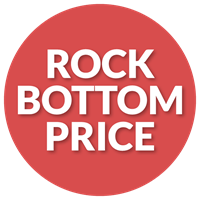 In the unlikely event of a bulb failure within four years (returns rates are less than 1%) we will simply send you a new bulb completely free of charge. Orders placed on Monday to Friday before 15:00 will be picked and packed for despatch on the next available working day where items are in stock (So far this year 96% of our orders have been despatched the same working day). Orders placed over the weekend or on public holidays will be processed on the next working day (although we can often arrange Saturday and special late despatches - just give us a call). Orders over £50 (Inc VAT) warrant a free delivery. Orders will be despatched via Royal Mail 2nd Class. The parcel will not be tracked and does not require a signature at the time of delivery. Usually takes 3-5 days for delivery. You will receive an email with a tracking code - so you can follow the progress of your order or reschedule delivery. 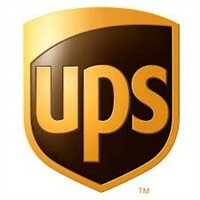 UPS is the largest express carrier and package delivery company in the world - so you can be sure your goods are in safe hands. The parcel will require a signature at the time of delivery. *Free delivery is not available for orders to Northern Ireland. We offer a 14 Day cooling off period. If for any reason you are not completely delighted with your purchase you may download a Returns Form and return it within 14 days of receipt for a full refund or exchange (For the same item only). Delivery costs back to us are not refundable unless there is a fault/damage with the item and it is reported within 28 days of receipt. If that is the case then please contact our sales team on 0330 900 9103. Specialist spotlight with an L1 base. 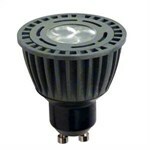 This 3.8W retro-fit Integral LED GU10 delivers brightness similar to a 25W halogen bulb. 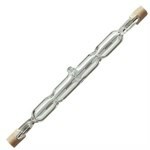 Available exclusively at Ryness.co.uk with extra long warranty. 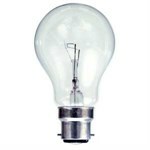 A high-quality 70W halogen GLS (standard-shaped) bulb from UK firm Bell Lighting that is an energy-saving replacement for a 100W incandescent GLS bulb.